While the rest of the world has been retreating indoors from this unusually frigid winter, Little School kids and teachers have been heading out into the woods to explore. 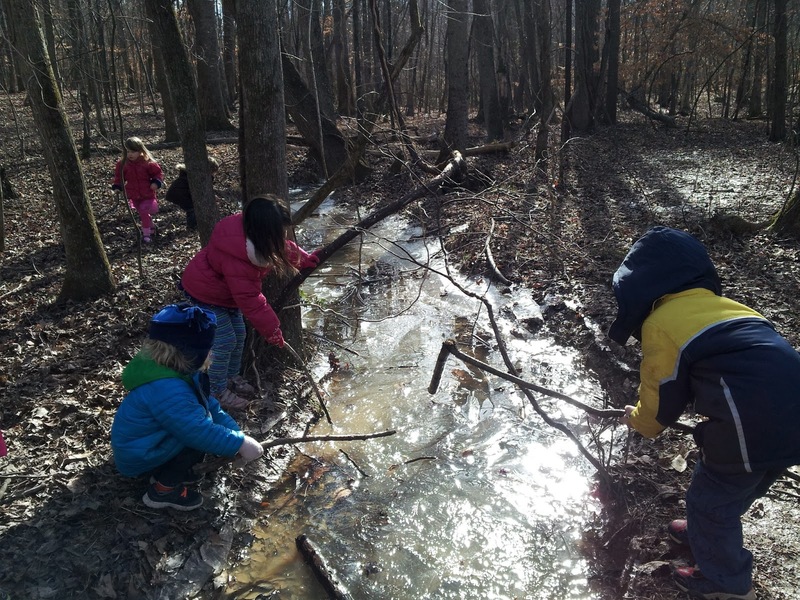 The creeks at both schools froze over and the kids were fascinated with how different this crystalline world was. They immediately picked up sticks and started to bang on the ice until it broke into pieces. 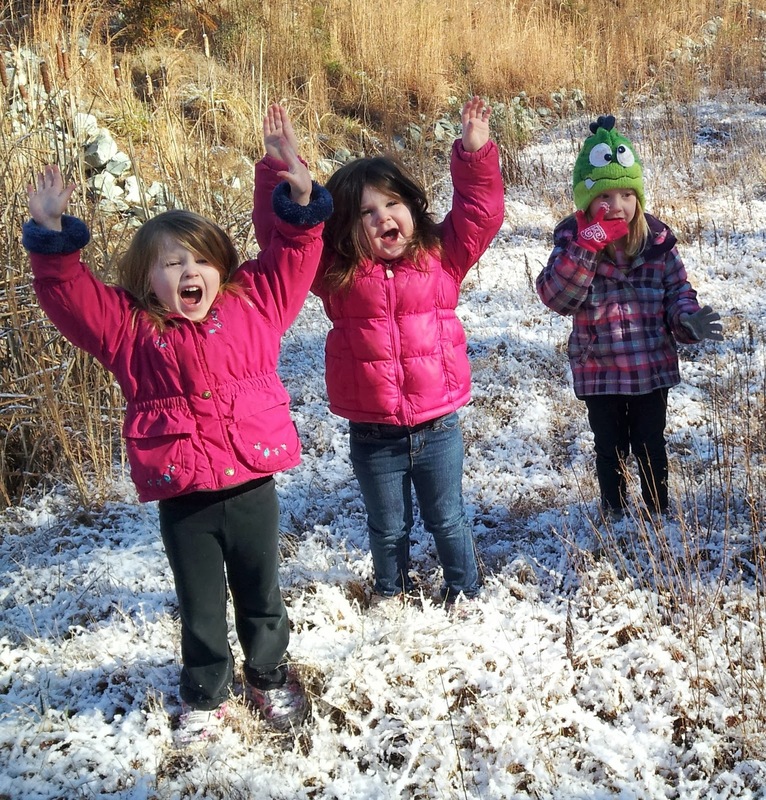 We went for hikes in the snow and our kids were so excited about everything! They made snow balls, tasted the snow, and were thrilled with just being out in it. 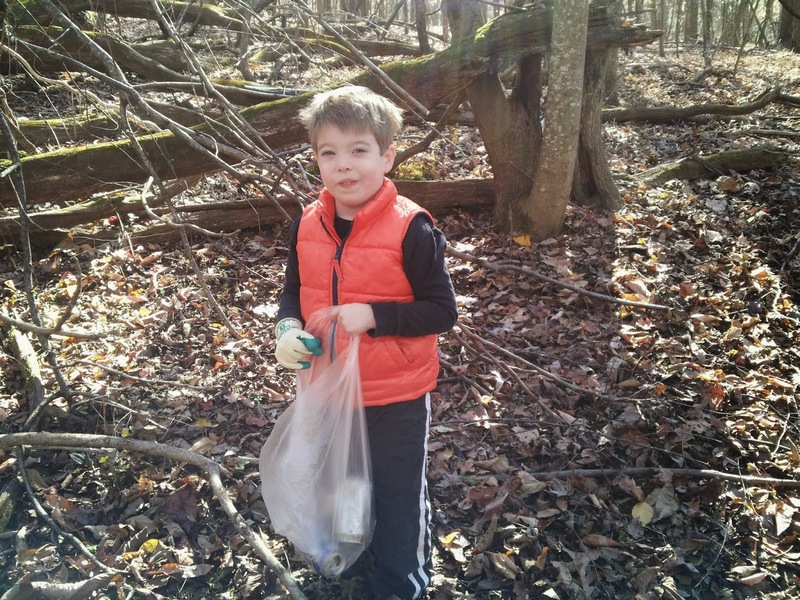 Outdoor learning has always been a core component of who we are at The Little School. We believe that nature is often the best teacher and our greatest source of joy and wonder. Monica Pallett, who was our Program Manager at Duke, changed roles in November to focus on building nature-based programs at both campuses. Along with Monica, Cole, Erin, Joy and Kelly – all established and much-loved teachers at TLS - now go into classrooms when all three teachers go out for team meetings and take the class on adventurous outings. Monica is also working with teachers and forging partnerships with environmental groups to create learning opportunities which teach core conservation principles. Kids naturally love the outdoors, and enthusiastically join in when we give them opportunities to show this love. Whether it’s picking up garbage we find in the woods or helping mulch and water our playground trees, they clearly value the opportunity to be useful in this way. At our Hillsborough campus we are quickly losing the woods behind the school to development. The magic mountains are now behind the orange fencing and will be clear-cut soon to make way for condominiums. Luckily, the school owns a stretch of woods going down to the Durham Tech campus with a creek running the entire length. Across the street we have found a new ‘magic tree’. It’s even bigger than the first magic tree and has a really fun creek next to it. The kids have named this place ‘wonderland’ and it is pretty wonderful. Down at the round-about the Town of Hillsborough is building a public park which will be a great outing destination. At both campuses we have been making great use of our new purchase of child-sized, clear umbrellas. This makes for fun and safe nature walks in the rain. Such a small detail, like each child having their own transparent umbrella, turns a dull gray day into an opportunity for new adventure. 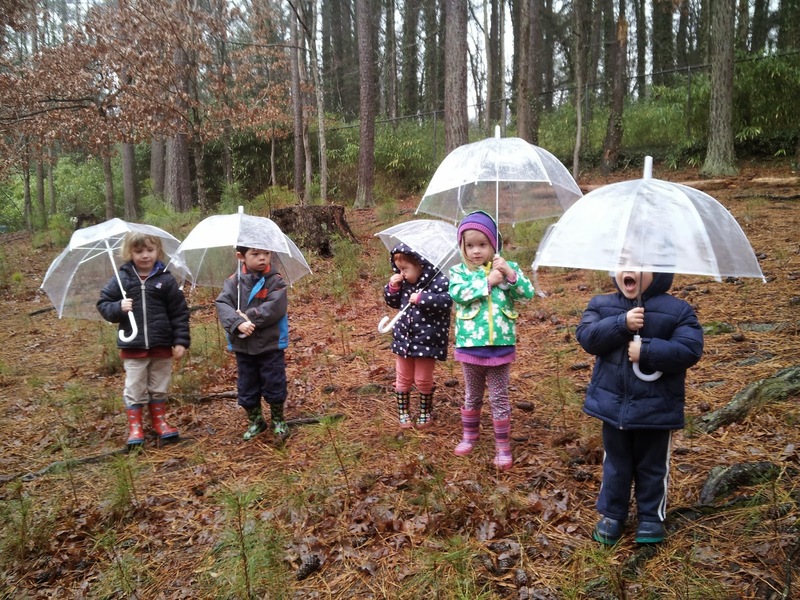 Seeing the creeks swell up in a downpour and listening to the sound of raindrops tapping on their umbrellas - our kids are transfixed by the many new sensory experiences of being out in wild spaces when it’s raining.